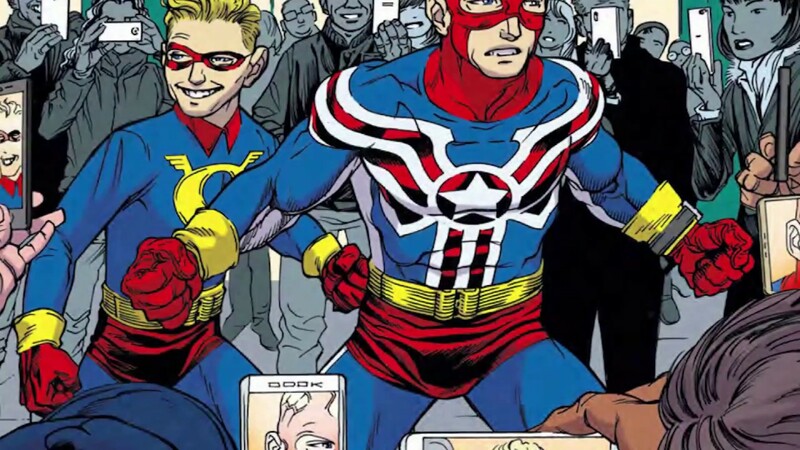 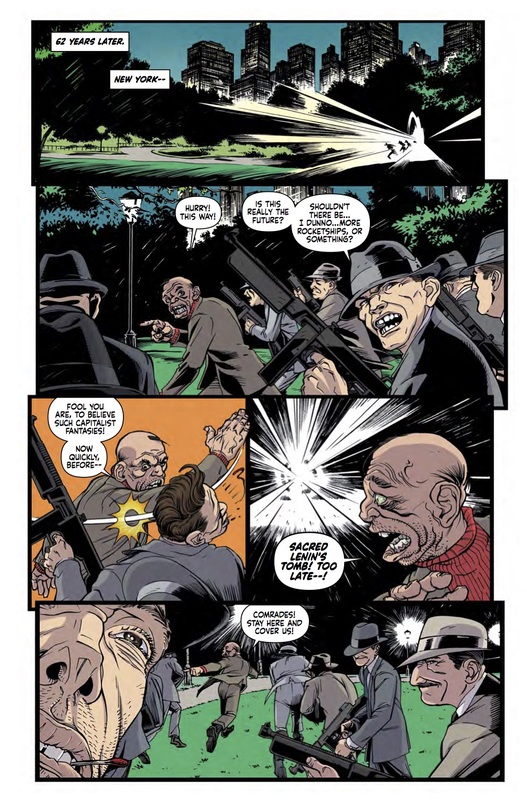 Comic Frontline: Fighting American Volume 1: Brave New World Trailer! Fighting American Volume 1: Brave New World Trailer! 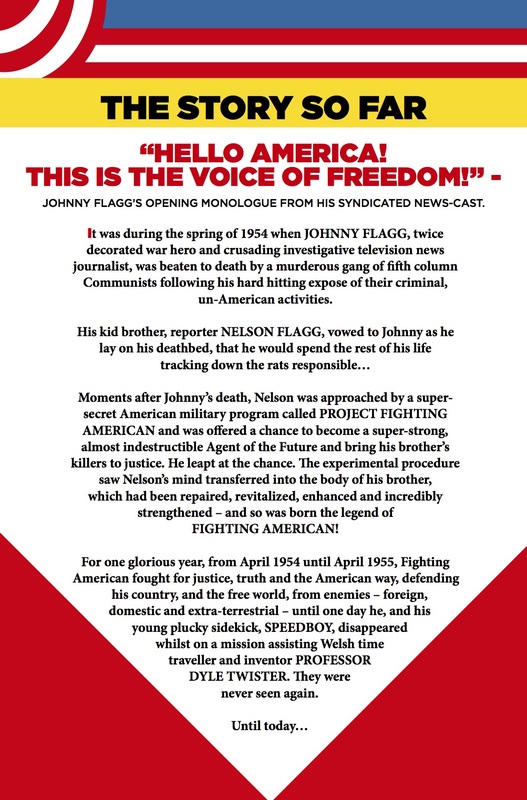 April 17, 2018 sees the release of Fighting American Volume 1: Brave New World - the return of Joe Simon and Jack Kirby's (creators of Captain America) legendary two-fisted superhero, originally created back in 1954! 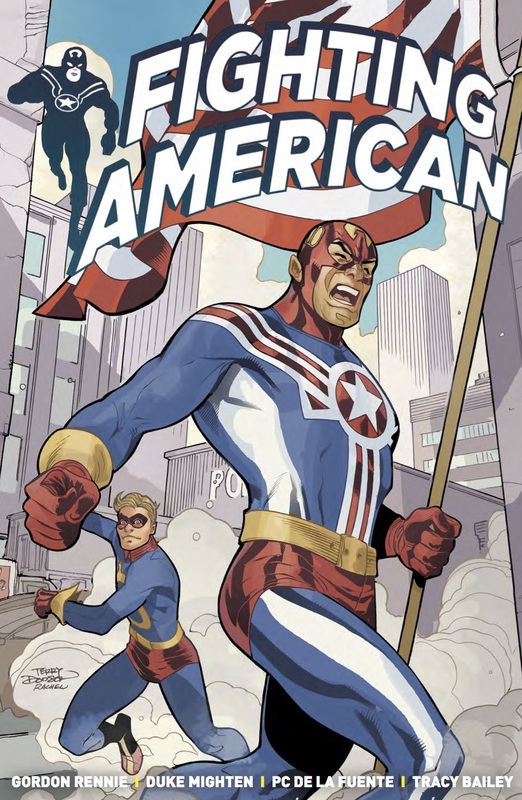 Join Fighting American and Speedboy in this brand-new graphic novel collection as they navigate the dangers and wonders of the modern world. 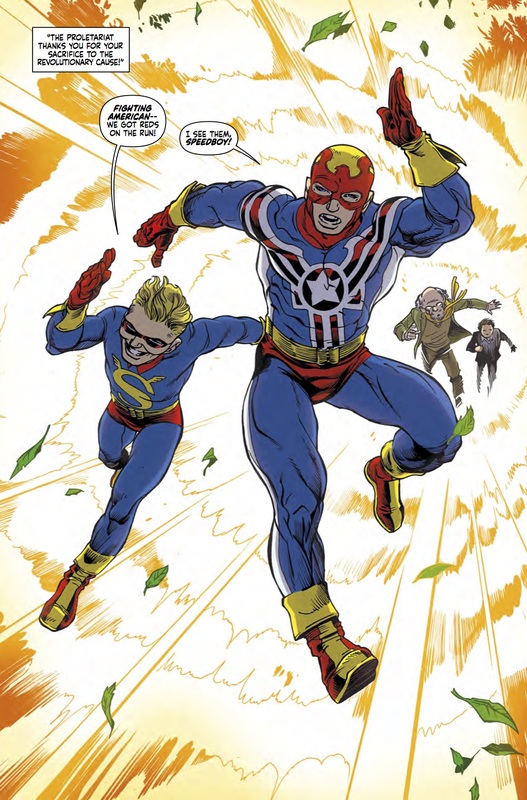 Described by Superman’s Jerry Ordway as “fun!”, this graphic novel is a direct continuation of Simon & Kirby's All-American classic! 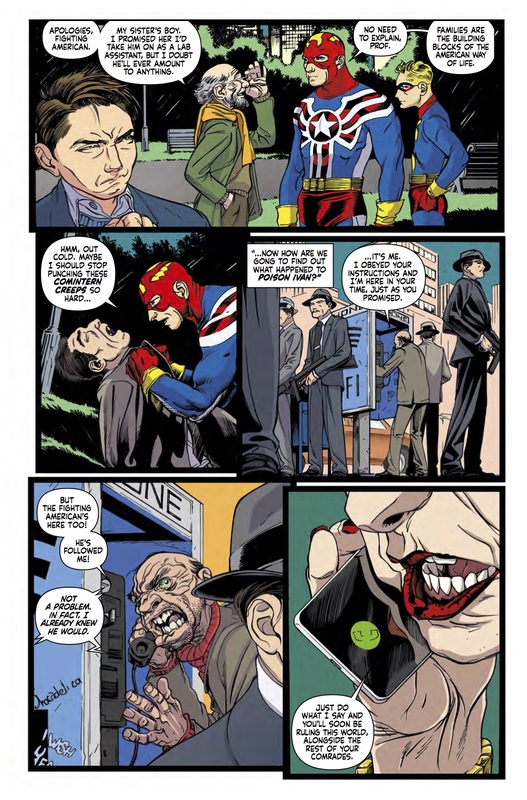 Written by Gordon Rennie (2000AD), with artwork by Duke Mighten (Judge Dredd), PC De La Fuente (Robin, Batgirl), and colors by Tracey Bailey. 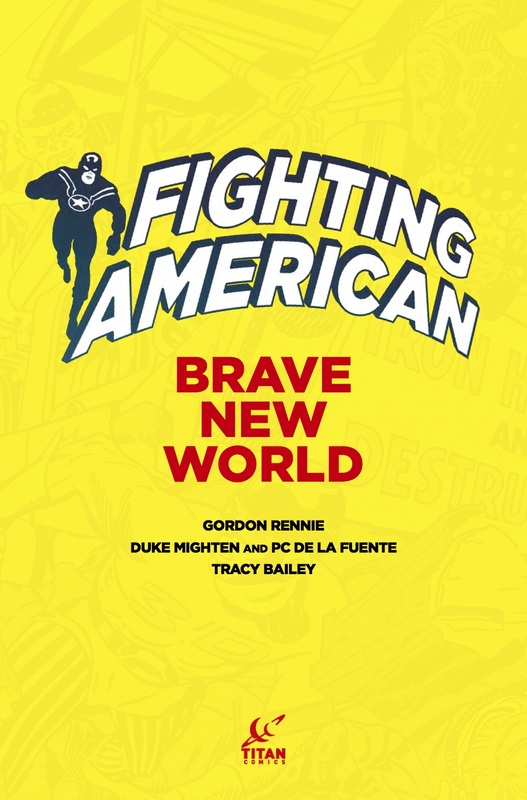 Fighting American Volume 1: Brave New World hits stores on April 17, 2018. 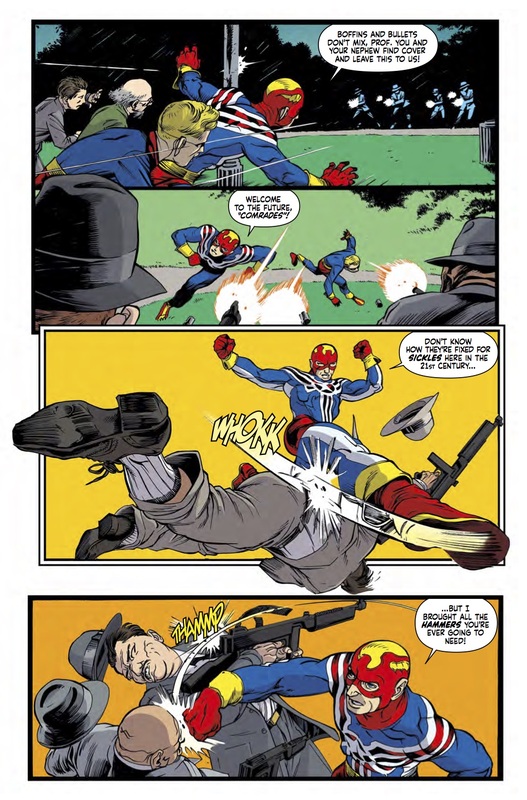 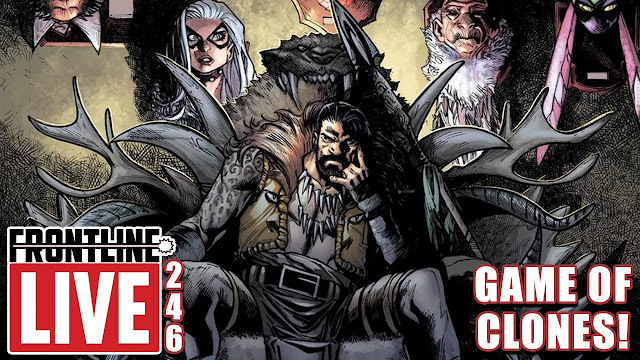 The fantastic return of Joe Simon and Jack Kirby's legendary two-fisted superhero, originally created back in 1954! 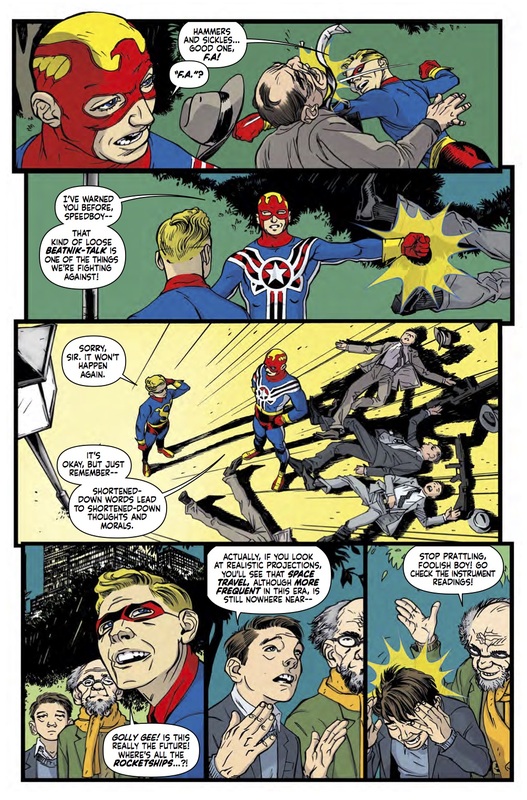 Fighting American, the ultimate icon of truth, justice and the American Way, and his young teenage sidekick, Speedboy, have found themselves marooned in the 21st Century whilst on the trail of a gang of villains plucked from their past by a mysterious villainess known only as Lady Chaos... Now, there’s nothing left for them to do but to bring some much-needed two-fisted justice and home-spun 1950s grit to a modern, media-obsessed, cynical world.